Google has announced it is on course to have enough internet-beaming balloons in the stratosphere to form a ring over part of the world in 2016. The declaration coincides with the announcement that three of Indonesia’s mobile networks intend to start testing Project Loon’s transmissions in 2016. Sri Lanka previously signed a separate agreement signaling its wish to be another participant in the giant helium balloon-based scheme. 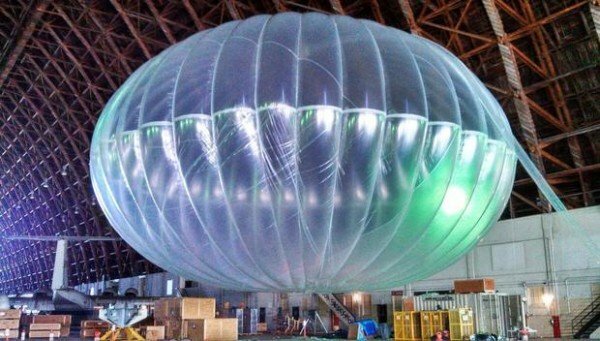 Google first revealed its super pressure balloon plan in June 2013, when about 30 of the inflatable plastic “envelopes” were launched from New Zealand. Beneath each lighter-than-air balloon are hung: two radio transceivers to receive and send data streams, plus a third back-up radio; a flight computer and GPS location tracker; an altitude control system, which is used to move the balloon up and down to find winds that will take it in the desired direction; solar panels to power all the gear. Because each balloon only provides connectivity to a ground area 25 miles in diameter below it, the initial ring will be limited to a relatively small part of the planet as it circles a section of the Southern Hemisphere. Super pressure balloons are made out of tightly sealed plastic capable of containing highly pressurized lighter-than-air gases. The effort resulted in the GHOST (global horizontal sounding technique) program which launched superpressure balloons from Christchurch, New Zealand, to gather wind and temperature data over remote regions of the planet. Google suggests that Project Loon would be a cheaper solution than installing fiber optic cables or building mobile phone masts across all of Indonesia’s islands, which contain jungles and mountains. Google is, however, considering other options. It is also pursuing a separate effort codenamed Titan, which aims to use solar-paneled drones to provide the internet to unconnected parts of the world.